Do not be afraid of running out of battery halfway through the meeting or night out. Less than 1 cm thick, our slim card power bank fits right into your bag. Ultrathin, perfect for even the smallest purses. 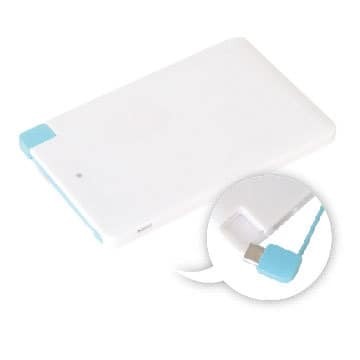 2200mAh gives your device over 2 full charges and available in white.